I am new to worms. This is the second site I have subscribed to. Trying to learn as much as a body can. So far so good. Started with one pound of European Night Crawlers. Have been nurturing them since the end of Feb. 2015. Harvested castings today, got 4.5 pounds of moist (almost dry) castings. So far as I can tell, worm numbers have not increased substantially, but production is good, I think. Apparently, ANCs are not the optimal breed for composting, but if they can produce this much, I can hardly wait until the wigglers kick in. Mostly feed them kitchen scraps (veggies and fruit trimmings) and egg shells. Just recently tried oatmeal put through a coffee grinder. Went all mouldy, but the worms don't seem to care. I use torn up egg cartons for bedding ( the cardboard type, not the stryofoam). It seems to help hold in the moisture. Expanded my herd by obtaining about one pound of E. Feotidas from a farmer on Kijiji. Had them about two weeks now and built them a new home today. That's about it. Reading lots here, full of good stuff. Thanks. Welcome Paul! This is kind of a funny forum in that it seems the administrator takes a very hands off approach. As you (and another) confirmed, images cannot be uploaded. Did you mix the E. foetida with your European night crawlers or are they in separate bins? If they are in the same bin…it is likely the E. foetida will outcompete the E. hortensis. At least that is what happened in my case. Wish you the best of luck with your worms – happy worm wrangling! I've kept the two apart. I'm not really happy with the E. Hortensis reproduction rate, but as I am a newbie, I think that may turn around. I have chosen plants that can grow indoors as our outdoor season will be too short from this date to see any long term results. I am hoping to find the right mixtures for planting next spring. Not sure if the new home for the E. foetida is going to work. I opened the lid today to find about a dozen "house" flies inside. Had me puzzled, as there was no meats present in any of the bedding or food. As well, the lid was fairly tight, although it did not snap down. (I put a piece of plywood on top of the lid to weight it down, hoping that it may flatten out any warp or twist in the lid.) I'll have to check it again in a couple of days to see if there are any more flies present. Very strange. Thank you for the welcome. Looks like you are the busiest poster here, I'll try not to take up too much of your time. No worries Paul – I check the site sporadically and am happy to share what little knowledge and experience I have, when I can. Beware – just because I'm the top poster (so far) doesn't mean I know that much! My worms have been going strong for about 4 years though. As far as what I know about reproduction rates E. hortensis is decidedly slower than that of E. foetida. I gave up on my 'europeans' and stick with the red wigglers – they are very forgiving. I don't think you mean castings – that is a very specific term and I don't believe are that easy to recover from the worm bins. You are safer just calling it vermicompost. I've done a few trials with mixtures of vermicompost and soil. A little seems to go a long way – at least in my limited experience. I'd recommend no more than 10% in your plant potting soil mix. Your results may differ – and I'd love to hear about your results – so please share them on the forum. I haven't yet experimented with vermicompost tea but I hear that it is real good stuff – especially when used as a foliar spray. Google it and you'll find lot's of recipes and ways to make it. If these were real houseflies (and not fruit flies) I wouldn't worry about it too much – unless you see your bins crawling with white larvae (maggots). Fruit flies can be a bit more annoying – but are not disastrous either. Old-fashioned sticky fly ribbon suspended above your bins can help control both. To be honest, my bins contain quite an assortment of critters: mites, earwigs, pillbugs, centipedes, spiders, white worms, etc. They are all part of the little ecosystem that is my worm farm. As long as I have a thriving population of worms, I'm content all is well. I as well am a newbie. I started back last June in my garage with a pound or so of red wigglers good bedding in a 50 gal barrel cut in half, which did well cause i doubled my stock, so then moved to a small freezer chest with drainage and air vents on sides. checked Ph and its around 7 to 6.5 and temp at 55 to 60 degrees in bin(outside temps 20-38) but I keep finding worms leaving the bin even with amble food and fresh bedding? all this even after a small harvest and turning of bin material when I switched bins. So now I'm at a lost as to why. 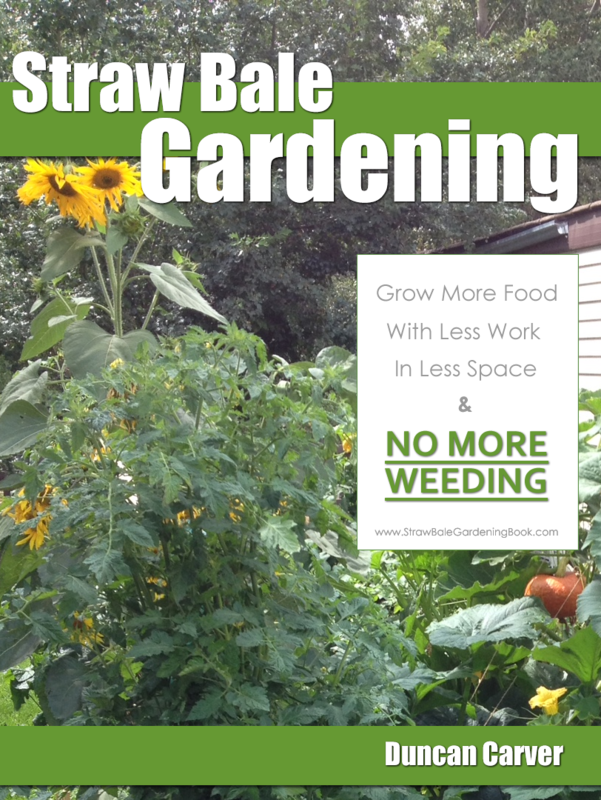 I started this mostly out of curiosity then seen the benefits in flowers and small garden, so I wanted to up the game this year so I'm doing a lot more of self-study and research, even doing a straw-bale garden for my mom so she can eat her some heirloom tomatoes too. Hello Eric and Welcome! Sounds like you are off to a great start. As long as not too many worms are leaving the bin, you shouldn't need to worry. Like you, I also use a 50 gallon barrel (mine is cut in half length-ways). I keep a sheet of black plastic loosely covering the bin and leave a fluorescent light on over the bins. It is said that the light discourages them from wandering out of the bin. I use red wigglers (Eisenia foetida) and they tend to stay put. When I first started vermicomposting, I also tried the 'European nightcrawlers' but they routinely left the bin in large numbers, so I gave up on them and stuck with the red wigglers. If you have a mass exodus of worms, that would suggest something is wrong with the bin but from what you report, your bin conditions seem just fine – though you don't mention moisture levels and red wigglers do like it moist. Given a choice between 55-60 degrees in the bin or 20-38 degrees outside, the 'smart' worms will stay in the bin with the warmth and the food! I am also new to worm farming…so new that my worms have not got here yet!! I had to educate myself before I ordered. Then I had to build my bin, then I had to build what I think will be a better one even though it is entirely to big for my 6000 worms, but I hope they end up happy worms and will quickly grow into it. lol. 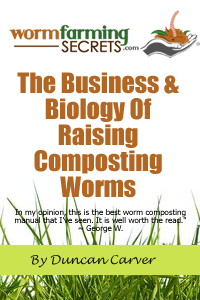 I have also been busy tracking down sources for food such as goat manure, coffee grounds to go along with food scraps. I am really happy with my ingenious bin creation that I hope works out well. It is made of hardi-plank siding. I figured that would last longer than any kind of wood, breathe better than plastic and since the bottom has seams the excess moisture should seep out and not get swampy. I have plenty of supports, underneath as well as on the sides so the hardi-plank does not bow out with the weight pushing on it. I lined it with landscape fabric so hopefully my lil wigglers will stay put. It is in a building that is not heated or cooled but if that becomes an issue it can be easily remedied with a small window unit and a space heater if necessary. I live in Georgia so the heat it my biggest concern. I have my bedding ready, peat moss rinsed and good moisture now, paper shredded, and food stuffs eagerly awaiting their arrival. Welcome! Sounds like you've got it pretty well covered.